School of the Art Institute | bockos design, inc. In the Loop was a two-color publication created for SAIC's Office of Development and Alumni Affairs. Each issue, produced from 1998 to 2004, ranged from 16 to 24 pages and covered a variety of school-wide happenings. 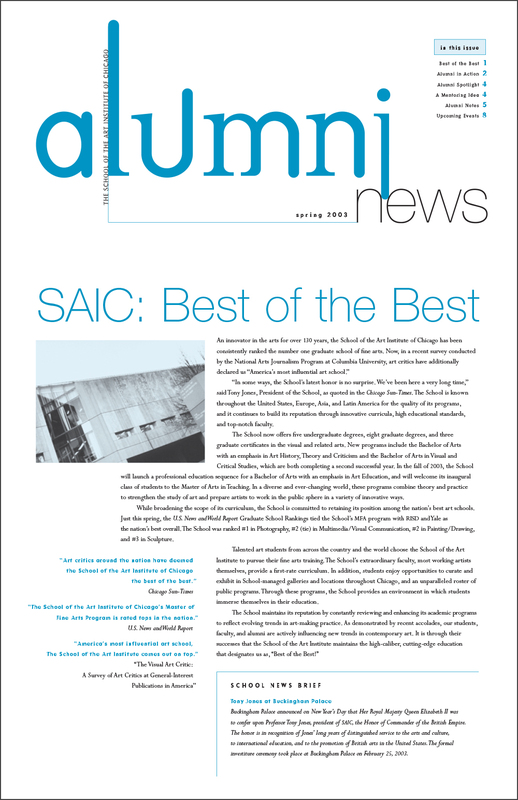 Alumni News, a publication created to share activity related to the School's alumni group, as well as individual alumni accomplishments and events, was redesigned as a tabloid-sized newsletter supplement to the magazine. The Partners in the Arts fundraising packet, created for SAIC's development team, consisted of a gate-fold brochure and a number of single-sheet informational inserts housed in a distinctive black folder (produced with a foil-stamped cover and a slightly-angled vertical pocket informed by the brochure's cover design). The format and structure allowed for flexibility in creating customized communications, a feature desired by the client. 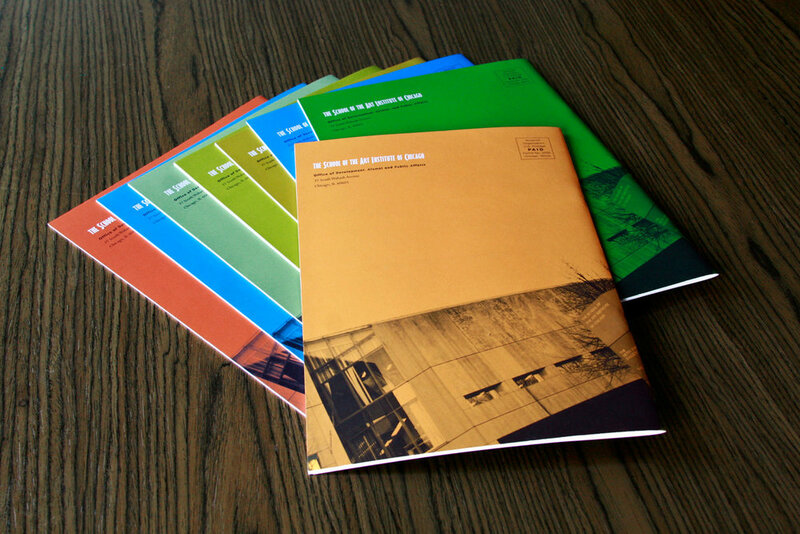 These materials were later updated and redesigned to visually align with the office's IN THE LOOP publication, incorporating student work as a visual element.